This year, I am so happy to put winter behind us, and move forward to spring! It seems like most of my family and many of my friends have had bugs of one kind or another off and on all winter, including myself. But spring is here, and I welcome it with open arms! To me, spring means change… The sun comes out from behind the clouds more often. The grass turns from brown to green. The bare branches of the trees start to show color, greens and pinks and yellows and whites. The snowblower gets put away and the rakes and shovels come out. Another new thing? Two new kits to honor spring!!! The first is the “Brown Bunny”, pictured at the beginning of this article. 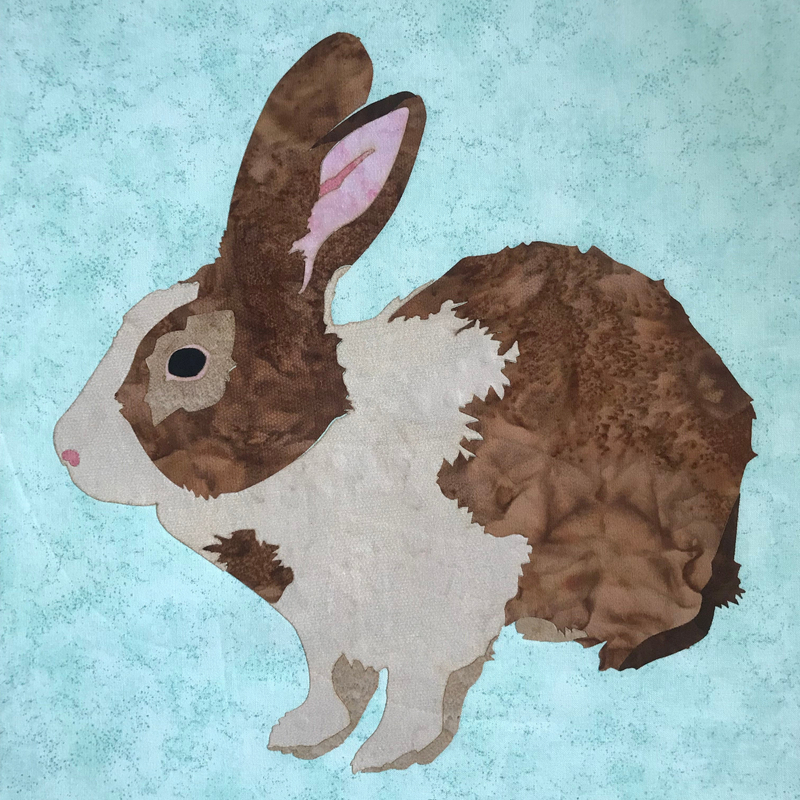 This beautiful bunny is 12 ½ high X 12 wide and is a simple kit to put together. This would make a lovely medallion center for a baby quilt and would look great on a door hanging, wall hanging, or table runner. The second new kit is “Watercolor Flowers” Scatterings. This kit contains fusible laser cut flowers, four each of 2”, 1¾”, and 1¼”, plus sixteen 1” and twelve 1¾” leaves. These work great in little arrangements on the border of a quilt, in the corner blocks, or scattered on top of a quilt, wall hanging or table runner. They could even be used on child’s clothing. I hope this has inspired you to bring some spring into your home!